This is a book which every leader and every lay person needs to read, and which can even save your church or ministry. When a friend sent me this book, I must confess to approaching it with some considerable reservations. 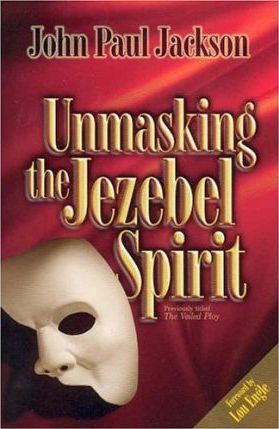 I have heard the term ‘Jezebel spirit’ being bandied around too often for comfort, and have seen all too many people chasing ‘shadows’ . I found this book a revelation, however. It not only made sense of a number of situations we ha ve been involved in ourselves, but explained what was going on with far more insight than we could possibly have done. It also alerts the Body of Christ to see just how widespread this problem r eally is. So far from being a case of ‘crying wolf,’ Jackson’s teaching unmasks some of the really serious ways by which churches and organisations are being undermined.